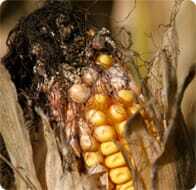 Mycotoxins are highly toxic secondary metabolic products of molds on almost all agricultural commodities worldwide. They occur under natural conditions in feed as well as in food. Several studies proved that economic losses occur at all levels of food and feed production, including crop and animal production, processing and distribution. According to the FAO (Food and agriculture organization) 25% of the world's crop harvests are contaminated with mycotoxins. There are currently more than 400 mycotoxins known. There are six major classes of mycotoxins that frequently occur: aflatoxins, trichothecenes, fumonisins, zearalenone, ochratoxin and ergot alkaloids. 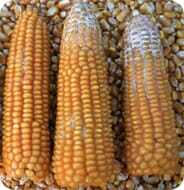 They are formed by different kinds of fungi and each fungi species can produce more than one mycotoxin. The major classes of these mycotoxin-producing fungi are listed in the table below. Each plant can be affected by more than one fungus and each of them can produce more than one mycotoxin. Consequently, there is a great probability that many mycotoxins are present in one feed, thus increasing the odds of interaction between mycotoxins and the occurrence of synergistic effects, which are of great concern in livestock health and productivity. Synergistic effects can already occur at low levels when the combined effects of two mycotoxins are much greater than the individual effects of each toxin alone. In contrast additive effects that occur when the combined effects of two mycotoxins are equal to the sum of the effects of each toxin given alone. Mycotoxins are often invisible, tasteless, chemically stable and resistant to temperature and storage. They cannot be destroyed during the normal feed manufacturing processes. However in special cases like under unusually hot or dry conditions Aspergillus and Penicillium species can also affect the grain on the field, and field fungi can continue growing and produce mycotoxins during transport and storage.